Saratoga Springs boasts a year-round calendar of events, activities and things to do – and with a prime location just a few minutes outside of the city, Longfellows Hotel provides a peaceful home base from which to experience them all. From the excitement of the Travers Stakes at Saratoga Race Course to music concerts, rowing regattas and the legendary Saratoga Chowderfest, there’s something here for everyone. Check out upcoming events in Saratoga Springs below. As part of the Elisabeth Luce Moore Chamber Music Residency, Skidmore College is excited to announce the Fifteenth Annual Skidmore College String Festival, featuring the world-renowned American String Quartet as artists-in-residence. We invite established high school string quartets to apply for participation in this year's festival. 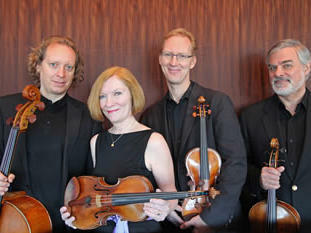 A highlight of the festival will be a performance by the American String Quartet on Saturday, April 6th at 7 p.m.
Tickets for this event are available on the Zankel website or by calling 518-580-5321. For more information please click here to visit Skidmore College's info page. 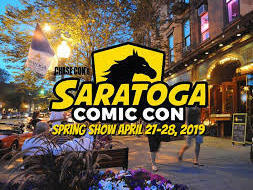 Saratoga Comic Con welcomes cosplay, guest stars, gaming, anime, sci-fi, furries, geeks, comic books, artists, vendors, and fans to the Saratoga Springs City Center on April 27-28, 2019! There will also be cosplay guests and contests, vendors, panels, VR, gaming tournaments, and much more!